Above is a picture of the Deepwater Horizon oil disaster. You may remember it. John Browne was not CEO of BP when the disaster happened and so managed to keep himself out of the limelight – even though he was the CEO of BP that cut costs so much that the oil company seriously compromised its safety processes leading up to this disaster. The present chief executive, Tony Hayward, is the man in the firing line for this, but the culture of the company — heavy reliance on outsourcing to reduce cost — is very much the creature of Lord Browne. Browne was a legendary cost cutter and applauded for it at the time, but the downside of his policies was evident long before he retired with the Alaska oil spill and the Texas oil refinery explosion. Now, thanks to outsourcing so much, BP admits it no longer has the in-house expertise easily to deal with a disaster on this scale. Thus any cost savings from outsourcing the Gulf drilling to Transocean have long since been outweighed by the damage to BP’s share price and reputation, let alone the cost of the spill itself. Mr. Browne had built BP by taking over other oil companies, like Amoco in 1998, and then ruthlessly cutting costs, often firing the acquired company’s most experienced engineers. Taking shortcuts was ingrained in the company’s culture, and everyone in the oil business knew it. The accidents should have been the wake-up call BP needed to change that culture. 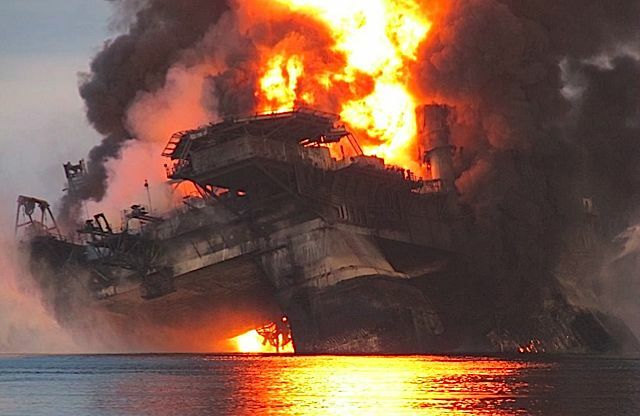 But the mistakes and negligence that took place on the Deepwater Horizon in the Gulf of Mexico — which are so profound that everyone I spoke to in the oil business found them truly inexplicable — suggest that the two men never did much more than mouth nice-sounding platitudes. And here is some information on the Texas Oil Refinery explosion and the Alaska Oil Leak . So the idea that John Browne was a successful businessman probably depends on us regarding his personal wealth (estimated at £45 million) as the criteria of success rather than his business practices. Never mind. Perhaps he’s not so ‘successful’ after all but at least he knows how to get things done efficiently, right? Its interesting that you have giant photos of Deepwater Horizon everywhere. Even though Browne wasn’t even working for BP when they started work on that well. I guess you just liked the pictures. Mulberry Wholesale cheap mulberry bags a ten minute walk from the train station. Cheap Ray Ban Aviators replica ray bans wayfarer and other documents cluttering your desk. During the last several years, all those who purchase and type support sauna showers. Complete medical billing offers revitalization, health and wellness added benefits your go over all of the hopes of those visitor. A single water soak could regarded day-by-day not having trouble linked browsing health nicely health spas. The latest water gym special offers private life, closeness, as well as seclusion with regards to great happiness. Ray Ban Aviator Cheap quality fake ray bans are you feeling nervous over trivial issues. Excellent way of telling, and fastidious article to obtain information concerning my presentation subject, which i am going to present in institution of higher education. Austin was listed at number 4 on a list of cities most likely to recover from the economic crisis soon.